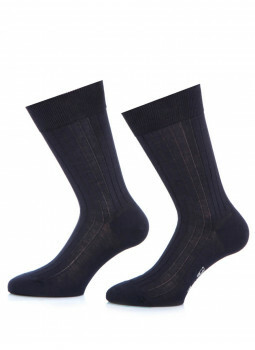 The model Dario Bruce Field is carefully cut into a fabric of 100% wool high quality for an elegant in all circumstances. Finishes fancy plaid blue window bring a touch of refined and high range to your view. 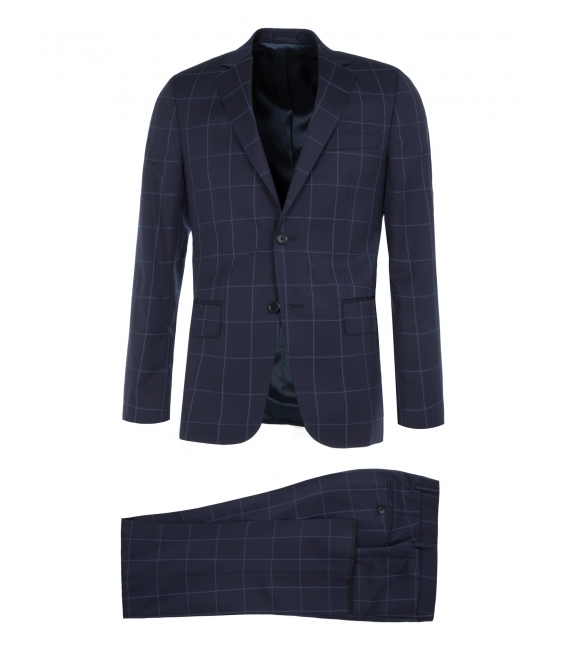 Be chic and stylish in the office with this suit trimmed in a fabric fancy pure wool quality. 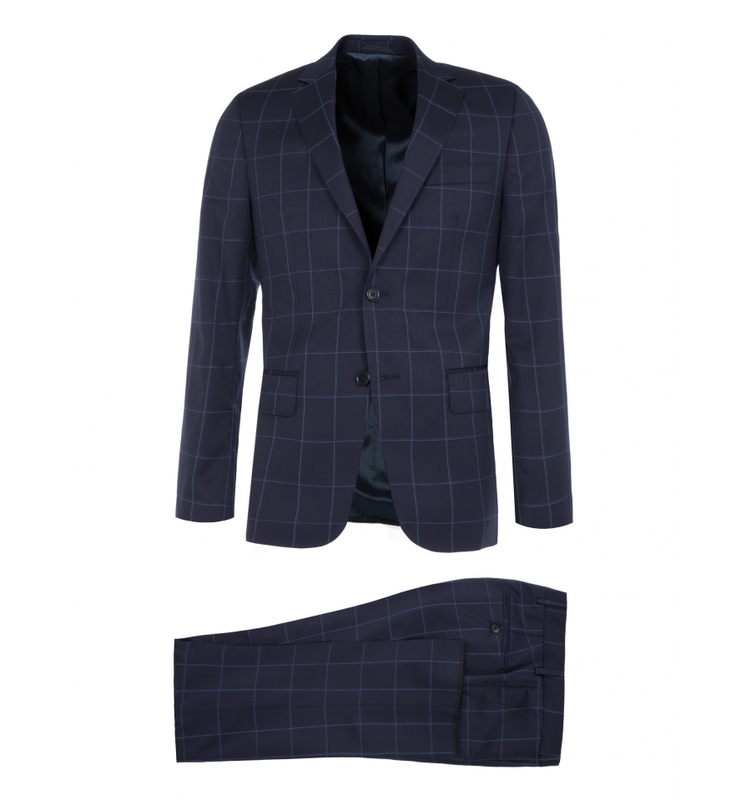 The jacket is slightly waisted and the pants discreetly tapered refine your silhouette. This suit 2 buttons made in pure wool from the Italian house Barberis Canonico. In case you'd like a pants suit of the jacket please let us know by email or in the box provided for this purpose at the choice of the delivery address and billing information ( leave a message ). Suit 2 buttons wool Barberis. Slight surpiqure the collar and the pockets. Zip closure, button and clasp. 2 pockets bias and 2 back pockets welt buttoned. To allow you a custom fit, the bottom of the pants is not finished. Composition of the costume : 100% wool Vitale Barberis Canonico.